It’s one of the more troubling aspects of the otherwise whimsical and charming Back To The Future: In order to power his DeLorean time machine, lovable eccentric Doc Brown steals a case of plutonium from a group of Libyan terrorists, who then retaliate by gunning him down in the parking lot of the Twin Pines Mall. The terrorism sub-subplot is so incongruous with the rest of Back To The Future that it seems to belong to another movie entirely. A new mock trailer by Tyler Hopkins suggests that maybe this story should be its own movie, specifically a prequel about how a seemingly harmless guy like Doc Brown ever became involved with Libyan terrorists in the first place. Supposedly coming “from visionary director Robert Zemeckis,” 1.21 Gigawatts is a tense, moody political thriller, radically different in tone from the Future trilogy. In order to create this trailer, Hopkins has borrowed footage from a number of interesting sources. There are only brief glimpses of the original Back To The Future here, including a straight-laced news report about the theft of plutonium from the Pacific Nuclear Research Facility. Most of the rest of the trailer is culled from dramas about terrorism, including Syriana, Munich, and Zero Dark Thirty. 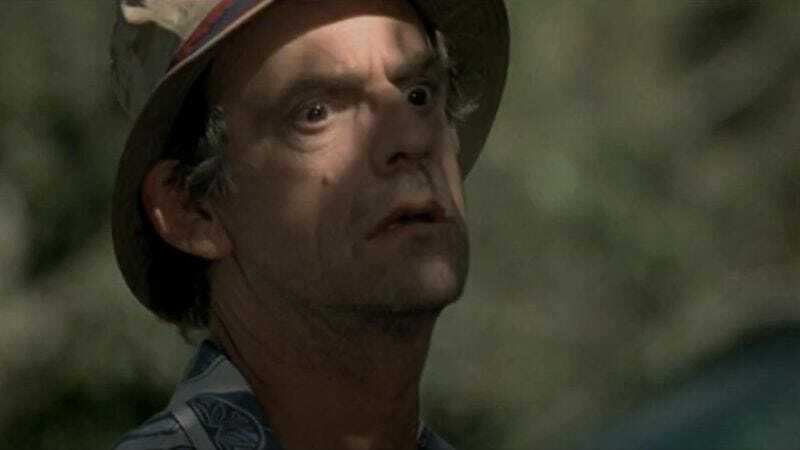 For footage of actor Christopher Lloyd, however, Hopkins turned to the 1994 comedy Camp Nowhere, supposedly a lighthearted romp about kids running their own summer camp and blackmailing an adult (Lloyd) into their little scheme. In this context, Camp Nowhere becomes yet another movie about the dangers of negotiating with terrorists. Back to the Future Prequel Trailer: 1.21 Gigawatts from Tyler Hopkins on Vimeo.